Love this post! It's great that you are going to get to share your favorite beach spot with your girls this summer. A summer wouldn't be a summer for me if I didn't go to Kill Devil Hills with my mom. My aunt and uncle stay two blocks away and we have the best time visiting. In fact, I'm on day seven of being at the beach right now. 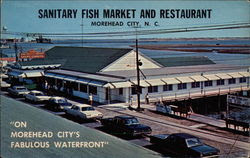 I've never been to Atlantic Beach or Morehead City but if I ever do, I'll be sure to eat at Sanitary Seafood. I'll admit that I like good hushpuppies better than seafood! I grew up on Long Island, never more than 5 minutes from a beach in nearly every direction. My wife grew up in Pittsburgh, about 10 hours from any kind of fun water areas, let alone a beach. When they went to the beach they made a week long outing. For us, it was just something to do in the afternoon for an hour or two before going to a party. 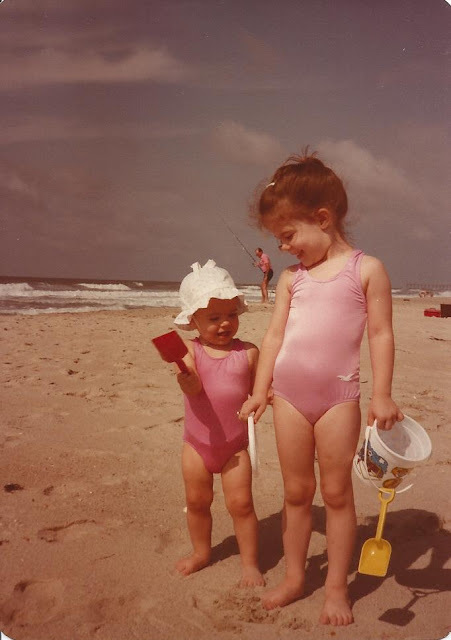 For some reason, her beach pictures from her childhood look alot like your and they always look more fun than ours. Maybe because it was so close we never bothered to take pictures of something that was just there. Not sure. But cool post. Thanks. I hope you all have a fabulous time! 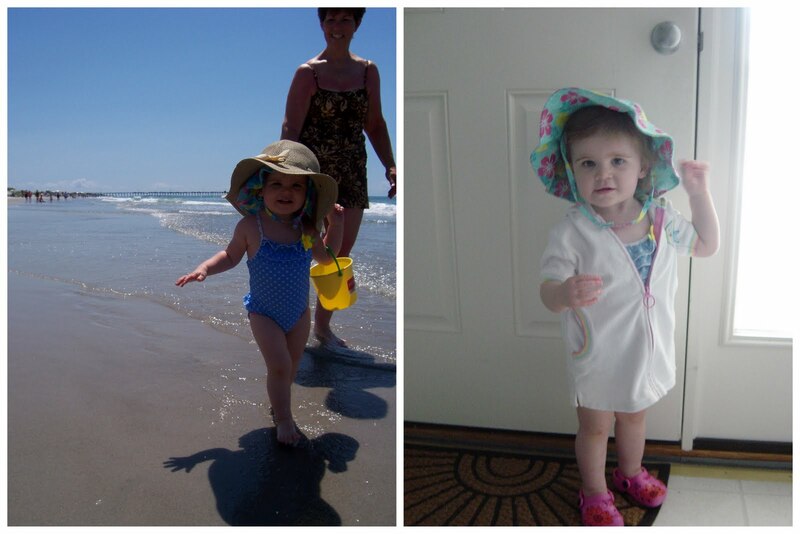 It's so cool that your girls will get to see their mommy's favorite vacation spots. BTW, I really think your older daughter resembles you! We have a favorite vacation spot by Lake Huron- the waves are amazing and the french fries are crispy! I've been out to Morehead City and Atlantic Beach...it was great! Wish I would have known to eat at that restaurant when I was there. I love going to the beach too. 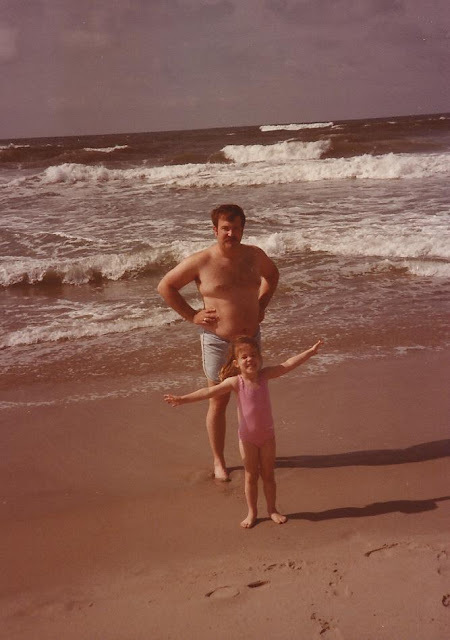 I grew up going to Myrtle Beach, SC and I still enjoy going there with my kids now. We usually go once a year even if just for a long weekend. This year we are looking into trying a Florida beach. We're "researching" it now for a fall vacation. Have a great time this summer on your vacation! Love that area. 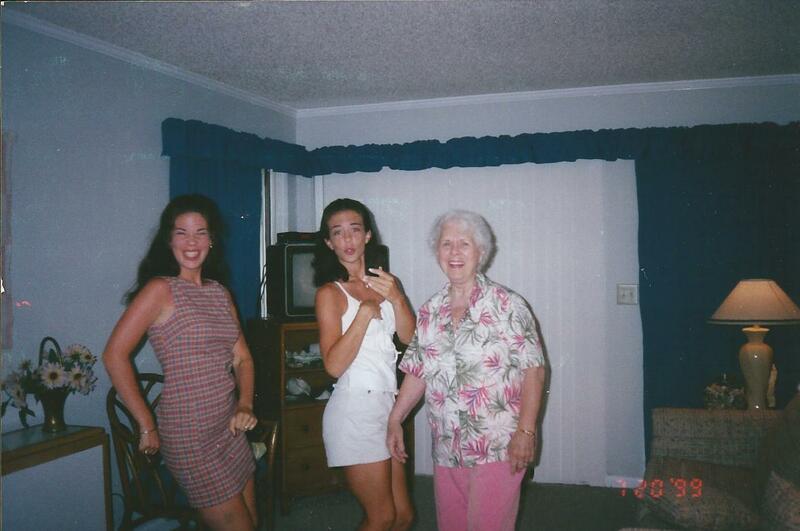 My parents moved to New Bern, NC almost ten years ago from our hometown in Long Island, NY. I was worried that they'd be too far from a beach for my liking, but soon discovered Atlantic Beach, Morehead City and my favorite, Beaufort. How lucky you were to spend your summers there! Enjoy your trip this year! Second...I love condos!! We are going to our friends condo in a couple weeks and can't wait!! Over here on the West coast we hit the central coast!! Wonderful clam chowder and San Luis sour dough bread! Have fun!! Now that looks absolutely wonderful, you clearly have some very special memories there! Thanks so much for sharing and for linking up friend! Okay, first off - wow...your girls are your TWINS! I can't believe how much your little girl picture resembles them! Also, I had no idea you were so well-traveled! I've hardly been anywhere. What a beautiful, fun, and memorable vacation spot! My favorite memories growing up were camping in Idaho for our family reunions. Hanging out in the mountains, playing in the river with all my cousins, and staying up all night around the campfire while all our parents went to bed. That is my dream vacation! I want to go and just stay at a beach. Just stay there and be cooled by ocean breezes. Aaahh! (It's gonna be 102 today, so I am dreaming hard today!) You lucky, lucky girl!! That will be so much fun! It's always great to get to return to those places that hold a special place in our hearts! I hope you have a wonderful time! These are gorgeous. I love the old beach shots and the dancing party! Gorgeous! I can't believe I'm just getting around to reading this now. I love the NC beaches, too. Someday I hope to live in NC again! The dance party looks so fun, and I hope you have a fabulous time on your July vacation with your family!